CEO Carlos Tavares has restored PSA Group to profitability and pushed it beyond its traditional European focus to global markets. Can he do the same for Opel? PSA Group’s pending acquisition of Opel/Vauxhall has all the makings of a prime-time television drama. 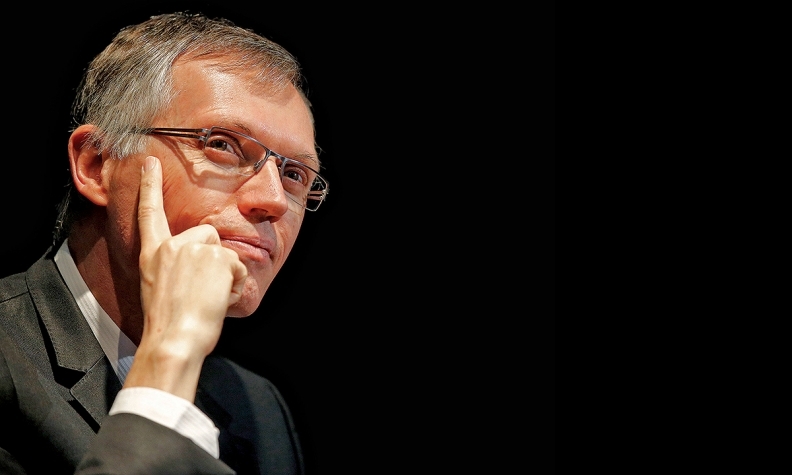 Just two years after rescuing his company from near-bankruptcy, CEO Carlos Tavares has staked his legacy on the purchase of a German rival that has consistently lost hundreds of millions of euros a year. What’s more, the sale vaults Tavares past his former mentor at Renault, Carlos Ghosn, to become the leader of the No. 2 automaker in Europe -- “The Duel of the Two Carloses,” as the French news magazine L’Obs put it last month in yet another tale-of-the-tape style article comparing the charismatic CEOs. "Tavares is a guy who likes challenges, and he’s trying to convince everyone this is the right thing to do," said Isabelle Chaboud, an associate professor at the Grenoble School of Management in France. "He’s succeeded so far, but now he will have to make it work." Those are enticing storylines. But looking ahead, the success of the combined company, which will employ at least 220,000 people, rests on a number of more easily quantifiable metrics. Quickly move Opel vehicles onto PSA platforms, an ongoing process since 2012 that has already led to the Opel Crossland X and Grandland X in the expanding SUV segment. The next-generation subcompact Opel Corsa will be based on PSA architecture, and the Mokka and Adam are also expected to move onto that platform. In coming years, the compact Astra and midsize Insignia (along with crossover/SUV variants) will follow suit. The joint company’s new scale will raise revenue for each platform, and help PSA find cost savings in purchasing raw materials and working with suppliers. As examples, IHS Markit says that rolling Opel models onto PSA’s CMP platform could lead to total sales of 7 million units versus 4 million for PSA alone. In that scenario, production synergies could top 80 percent. At the same time, PSA will work to improve Opel’s pricing and move the company away from low-margin fleet sales, possibly by shifting the brand upmarket by emphasizing its German engineering heritage. After a certain point, PSA will be able to sell Opel vehicles in global markets now closed to the brand by GM. After three years of strong growth in the European auto market, sales this year are predicted to be around 1 percent to 2 percent — and, in terms of volume, the market is not yet back to the pre-recession level. Nearly a decade after the recession, the health of the European economy remains shaky, with annual GDP growth barely reaching 1 percent in countries such as France and Italy. Brexit and the results of closely watched presidential elections in France and Germany could also be disruptive forces. Production issues could prove to be a minefield. Tavares has vowed to give workers the tools they need to succeed, yet with Peugeot, Citroen and Opel competing mainly in the same segments -- and using the same platforms in the near future -- excess capacity and duplication loom as problems. Following the closing of Opel’s plant in Bochum, Germany, in 2014, the country’s unions may be reluctant to offer future concessions. Crucially, the financial community has signaled its support for the deal. Early speculation suggested a valuation of up to $2 billion euros for Opel/Vauxhall, with PSA paying $1 billion in cash and assuming $1 billion in GM Europe pension liabilities. In the end, however, GM agreed to assume all pension obligations, and PSA’s cash outlay by the time the deal is completed at the end of the year is likely to be 1.13 billion euros -- a figure that includes 460 million euros for half of Opel’s financing operations. “That may immediately improve where they stand from a financial perspective, and if that’s the case, are we going to see a profitable Opel sooner than we think?” he added. We’ll learn more details about the deal as the year unfolds, but so far it appears that Tavares has most of the tools in place for success. Now, with a little luck, he’ll be able to deploy them.